Sole proprietors don’t file a business tax return, so many decide to use a social security number instead of an employer identification number (EIN), on forms like W-9s. But there are a few reasons why it can be beneficial for sole proprietors to have an EIN. Some states also require that businesses, including sole proprietorships, have an EIN in order to apply for certain licenses or pay state taxes. While having an EIN won’t give you any tax advantages, it does establish you as an independent businessperson. It clearly shows that you’re an independent contractor, and not an employee, which can make you more attractive to prospective clients. Another benefit to having an EIN is identity protection. Using your social security number on tax documents open you up to identity theft. Having an EIN allows you to avoid using your social security number on required client documents. The easiest way to get an EIN is through the IRS’s website, using its EIN Assistant tool. 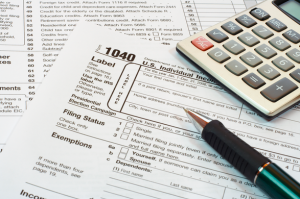 You can also download IRS form SS-4 and send it by mail, or you can call the IRS. The business and specialty tax line is 1-800-829-4933.